1. Light base can be used to support and light up a vase or liquor bottle or another transparent object, perfect for Party Favor Decoration and Events. 2. 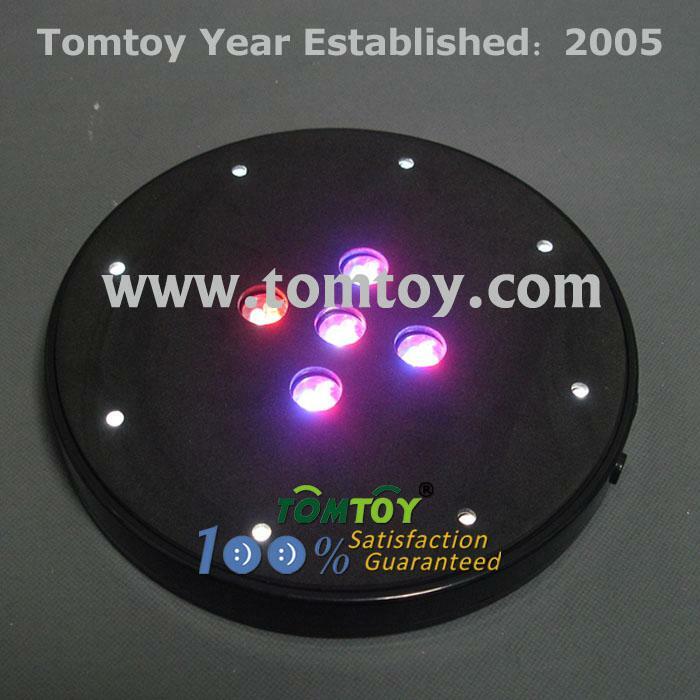 8" LED light up base has 5 group Red/Green/Blue LEDs in the middle and 13 pieces White LED around. 3. Simply 2 push buttons on side; one for group RGB lights, the other for white lights. Different light combines for your choice. 4. The working voltage of the base is 6V, to be operated by 6pcs AA batteries, or work by a DC 6V power adapter (not included). It can last to work over 12 hours. 5. Hanging metal hook on back allows light base to be fixed to roof or upward side.